Happy Friday, friends! I pray this week has been a good one for you. It has been super busy here, but that is a post for next week. Can't wait to share some special family excitement with you. 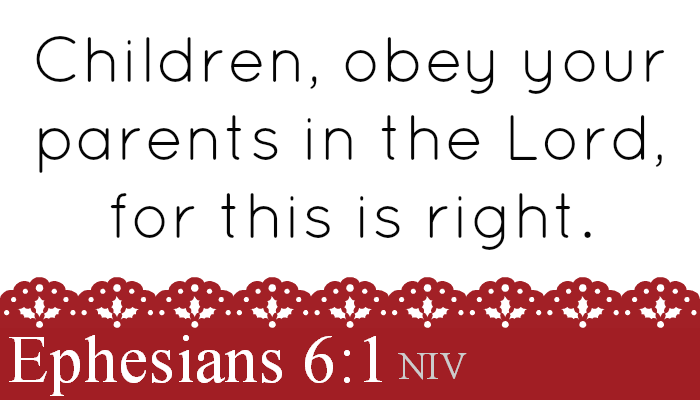 But for now - let's move forward with another scripture aimed at kids. Well, I say that, but let's face it, FEAR is something we all deal with. Whether a rational fear of bad weather, just saying, or an irrational fear of monsters in the closet, fear can take a grip on our lives and run us down. Unfortunately, once fear takes a grip, it is often hard to get it to let go. We humans tend to run things over and over in our minds and let them grow bigger and bigger than they really are. Or is that just me? 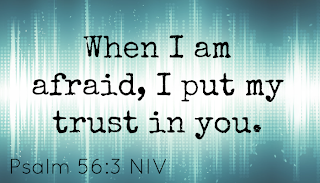 Anyway, one of the ways we teach our kids and ourselves to combat fear is to remember that God is always with us, to turn our fears over to him and to recite scripture. I just told my six year old recently that if we fall asleep saying a verse over and over in our head, there is no room left for yucky thoughts! It is a simple one, but oh so true! When we trust that God wants the best and has the best planned out for us, we can lay our fears aside knowing He is on our side! How are you teaching your children to tackle fear? Are you doing the same? If you need some help with memorization, my friend led me to an app called Fighter Verse! Check it out! One of the focal points of my blog is our life, which includes homeschooling our three younger kiddos. (The oldest is now in college!) And one of the things I want to purpose to do this year is to have a "scrapbook" of sorts to remember what we have been doing. Mostly in pictures, mind you, to keep the boredom down and the joy up! Dad gets into the act occasionally - Legos are school, right? Snow play counts as PE, right? This is a pile of books our 6th grader is working through for Literature. Sonlight, anyone? Our college girl sought out the warmest place in the house to do her online classes. All About Spelling has been a great thing for us! He loves the hands on part. Learning how to order numbers - all across the living room, of course. And of course, more animals for our Apologia Land Animals zoo. From back to front - that is an elephant, a hippo, a rhino and a donkey, in case you did not recognize them. Now that he is reading like a pro we get to listen. With his sister home, the audience has gotten bigger. Notice the continued theme of being wrapped in a blanket. It is COLD here in South Dakota! His new adventure! He is so excited and we are so proud of him. Notice, one daughter is missing from all the pictures. That is because she does school upstairs in her room and is MIA all day long! I told her that she HAD to come down in February to have pictures done or you all would think we had gotten rid of her! And in between it all, this is where you will find me! I long to be a strategic shopper! Really, I do. And some times I get pretty close to the mark. Many times I do not. 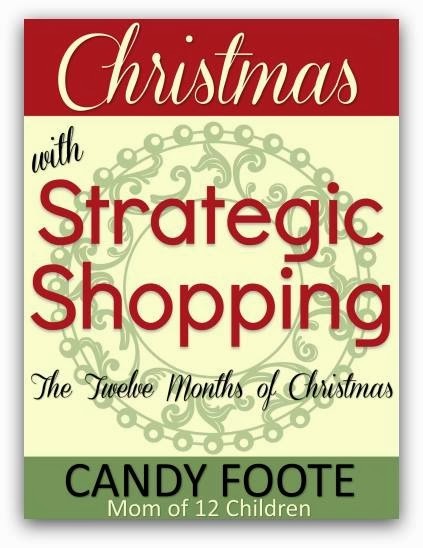 That is why Candy Foote's two ebooks, Strategic Shopping (142 pages) and Christmas With Strategic Shopping: The Twelve Months of Christmas sparked my interest. I want to be a strategic shopper CONSISTENTLY! I think with Candy's tips and advice, we can ALL be. Strategic Shopping is all about saving money. In all areas. But this is not just your typical use coupons kind of book. While Candy does talk about coupons, she also has many other ideas to implement. Chapters cover areas that you can save, to include groceries and clothing, as well as things like rebates, military discounts, having a well stocked pantry and blessing others. If you do coupon or want to get started, Candy tells you where to find coupons, how to organize them and how to get the best bang for your buck. In addition, she gives you links to coupon policies for many common stores you may shop at. As Candy says, knowing your store and their policies are a good place to get started. A great bonus that Candy provides are reproducible pages at the end of her book to help you get started with labeling and organizing a coupon binder and savings notebook. Trust me, it will save you a lot of time. By far my favorite book of Candy's however, is her Christmas with Strategic Shopping. I know, I know, it is only January, but that is exactly why you need this book. It is January! And almost the end of it at that. Only 11 more months til Christmas- time to start getting ready. I love Christmas, but even more, I love a stress free Christmas. One in which I can settle into the season and enjoy. Not spend too much time and too much money in a rush to "do Christmas". That is where Christmas with Strategic Shopping comes in. Candy provides a month to month guide for you to follow so that your Christmas season can be spent enjoying not racing around like a chicken with your head cut off. Each quick chapter tells you month by month what things you can buy for deep discount prices- from gifts to food for the holidays. Did you know that Easter IS the time to get the best prices for hams, or that in July you can stock up on fun outdoor games? By buying things at the lowest prices you can, it enables you to stock up and spend a little each month- plus shop in a calm manner. Just like in Strategic Shopping, Candy provides printable pages at the end of her book to help you set up a notebook to keep you organized. Sheets cover things like a Stocking Stuffers list to your Christmas Eve menu. One of the other fun things in this book is at the end of each chapter Candy shares a little story about Christmas in the Foote house. Call me noisy, but it was fun to take a peak into the house of a a family as big as Candy's! I could almost feel the love and hear the laughter. 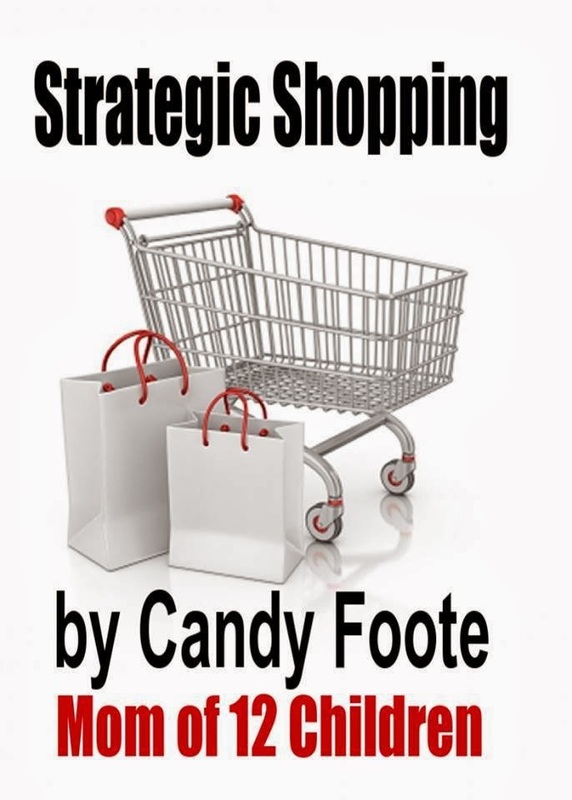 Both of Candy Foote's books, Strategic Shopping and Christmas with Strategic Shopping, can be bought from Candy's Strategic Shopper Blog. So glad you came back for our last week of The Virtual Curriculum Fair! It has been a hoping place with some great posts from my blogging friends. A big THANK YOU shout out to Susan from Homeschooling Hearts and Minds for hosting this for the last few years. Week 2- Math and Science, anyone? What a fun place to end- All Things Lovely! Here we go! Art- I am going to just be honest- this is a weakness for me. I am NOT an artist and I am not very crafty. Messy is not my thing. Nice, huh? But, we have found a few programs that I really do like and have managed to use on a fairly regular basis. 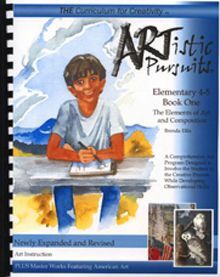 ARTistic Pursuits- No matter what level you need, they have a book for you! Easy and affordable. Kinderbach is the program we have grown to love for younger kids. We spent 6 weeks reviewing the iPad app last year and were sold on it. CJ loved playing on the keyboard and doing the activities. Currently, we are reviewing the computer based program and are excited to share that with you soon. In the meantime I encourage you to visit their website and check out the free lessons. Foreign Languages- This is where my heart is. I have always loved listening to other languages and one of my greatest regrets is not paying more attention to my Spanish teacher in high school. Now that I have a son born in Guatemala, I am passionate about making sure we honor his heritage and birthmom by encouraging him to be bilingual. So what we are using these days? 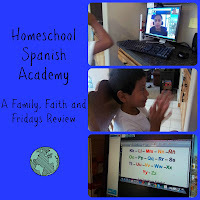 Homeschool Spanish Academy- Yep, you guessed it, another review program, but this is a winner! My son actually Skypes with a teacher in Guatemala! So out of my comfort zone at first and a little pricier than other programs, but worth every minute and every penny. I cannot speak more highly of it and the teachers. 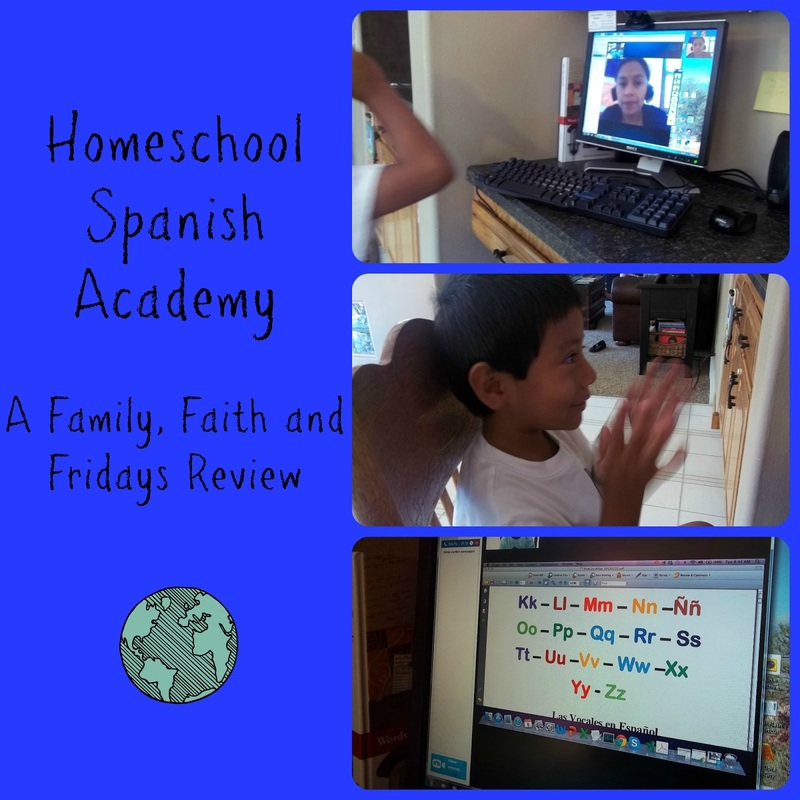 Classical Academy Press- Song School Spanish and Spanish for Children. You can not go wrong with this company. We used the Spanish For Children Levels 1 and 2 and my daughter breezed through three levels of Rosetta Stone on no time. She is hoping to CLEP out of Spanish soon. Spanish for You! is another great program. If you are looking for a solid program with great lesson plans that you can use for multiple grades, you will want to check this program out. Think more of a unit study type program, with not just vocabulary but the mechanics of the language as well. A few additional programs to take a look at- Power Glide, Rosetta Stone and Speekee TV. I am one of those moms that follows lesson plans for the most part. I like columns and lists and checking off boxes. Reading- check. writing- check. Arithmetic- check. But I also know that all things lovely add such fun and excitement to our day, that they are things that we should not get too busy to miss. 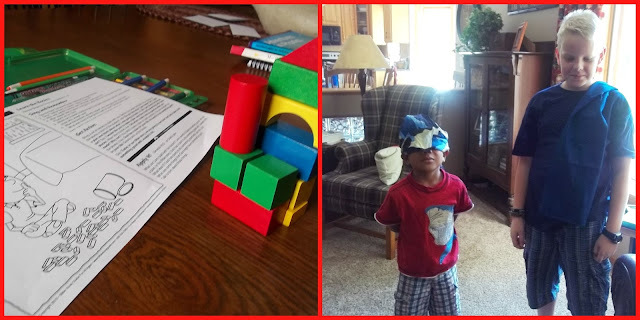 I hope you too will enjoy some fun along your homeschooling path! Welcome back to week three. I pray that you have been blessed by memorizing the word of God these past two weeks. Remember that God's word never comes back void. Even when we think, "oh, I knew that one already" or "hey, that one doesn't apply to me," God has a plan. And it is always better than ours! I want to spend the next few weeks on a few verses specifically aimed at children, but once again remember, God's word applies to us all. We are, after all, all His children. To help you along, let me give you a few quick tools that have helped us memorize scripture with our kids over the years. Flash Cards - Write each word of the verse you wish to learn on a separate note card. -Line them up in the correct order and read it together. -Take out a word and see if your child can remember the missing word. -Take out two or three words and see if they can fill them in by memory. -Shuffle all the cards and then have your child put them back in the right order. Sing - Or chant! We have found for our family that anything put to rhythm is easier to remember. I am sure there have been Sunday School teachers that have wondered why our kids sing verses but, hey, if it works! Be active! Others report that their kids learn better while doing jumping jacks or making up motions. If your child is one of those kind of learners - go for it! So let's get started with one of the first verses we like to teach our kiddos, remembering that it does apply to us all! 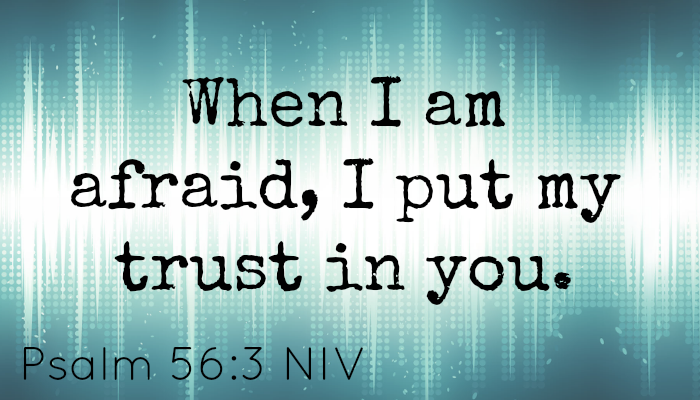 Have a great week with this verse. I would love to hear how your family is doing with this challenge. 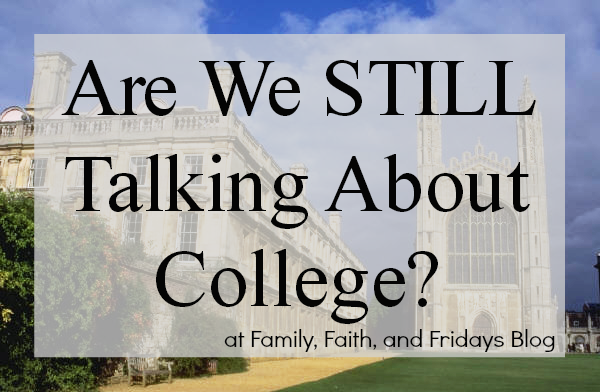 Are We STILL Talking About College? WOW, if you want to create a stir - send your daughter off to college and then allow her to come home half way through her junior year! Seriously! At this writing, over 1700 people have read that original post and more than 400 have read her follow up. So before we stop talking about it and move on with life, I would love to address a few things that have not only come up in comments left or private messages I have received, but also some things that have been on my heart. In response to the "thank you for being bold". You are welcome, but you can thank God on that one. We never felt bold. Scared, yes. Bold, not so much! Life decisions are never easy. About feeling the pressure from others. Why, oh why, do we allow ourselves to do that? I mean, really. Especially from relatives. Yes, one of my biggest fears when we finally made the decision to let Ashton come home was how our own parents would react. I had hinted around of the possibility, but once the decision was really made I told them and then held my breathe waiting for the explosion. Guess what? It did not happen. They were loving, supportive and kind. (Really no surprise if you know our parents.) But, you know what? Even if that had not been the reaction, so what? I would have listened to their opinions and moved on. They are wise parents but they are not Ashton's parents. Lesson here - trust that you are a good and capable parent. It is sad when people do not support us but it is not life changing. Stay at home daughters. Wow, this is a subject I am still exploring. As I mentioned, Ashton had read many books on this subject and then I had asked her to stop. I though they were filling her head with too many things contrary to what we, as her parents, believed. Really what they were doing was fanning a flame that God had put in her heart. Some would say that she is not a "real" stay at home daughter since she is continuing her education, but she has decided to stay home under our roof, care, and love until God sees fit to provide someone else to provide those things for her. For you stay at home girls out there, I applaud you for going against the norm. There should NEVER be anything shameful about living with your parents until you are married, if that is what God wills. College is not for everyone. Remember, this is a new thought for me and I am still working on what that looks like for our family. Truth be known, Ashton would probably just as soon be done and continue her sewing business, but she is so close to earning her degree that we all feel like she needs to finish. BUT, college is not for everyone. Yes, we need doctors and lawyers and teachers and nurses. But we also need a good many of professionals who need to get their training another way. Many mechanics and electricians and barbers and seamstresses need vocational training and experience. Let's be careful as a society to not box our kids in. Let's be bold and allow them to explore their interests and then find the best way to send them out their successfully. There is more that one way to get a degree if you want one. We have been impressed with online learning from day one. Lots of colleges offer classes. Just know that online classes and online degrees are two different things. Do your research. Online school can be a cheaper and faster way to get a degree, but online is not meant for everyone. Know what you want and then go get it. To the young girls who have messaged me about being at college and wanting to not be. I am praying for each and every one of you. I encourage you to sit down with your parents and pray for wisdom and guidance. Shut out the world's ideas for you, write down your goals and then decide how to best accomplish them. To the moms that have shared their stories about going off to college and then coming home. Thank you for reminding me that the best job I could ever have is to be a wife and mom. If that is what my daughter desires, how could I not want that for her? For you young men who are struggling with the same college decisions - may The Lord lead you! Oh, how hard it must be when you are to become, in all likelihood, the head of a household and main breadwinner. I want that for my sons. I want them to be able to support a wife who does not have to work if that is her desire. I also want my boys to be happy. It is a fine line and I have to trust that The Lord will reveal it in our lives and in yours. And one last thing. Two really, that we learned through this experience. If you are struggling - please reach out to others! Several people have commented to Ashton that they did not know she was lonely and not particularly happy. Let's face it, those are not just general discussions you have randomly. Don't be afraid to have deep conversations and ask hard questions. People can only help if they know there is a problem. Ask for help and do not be afraid to share how you feel. Also, if someone means a lot to you, if you think they are great, or if you admire them, whatever, tell them now. People need to hear those things now. I told my kids a few weeks ago that when people die is not the time to tell them how great they are or how much you loved and admired them. Too late, friends. I know I am a words of affirmation kind of gal, but I do not think that there is one person out there that does not need to hear how much they matter. How much they mean to you. How much you care. Later may be too late. Tell them NOW! So with that... you, friends, matter to us! Your comments are appreciated. Your prayers are precious. And your friendship is treasured. Thank you from the bottom of our hearts. We are privileged to be on this journey with you. If we can pray for you, let us know. We KNOW that these are heavy decisions and it would be our privilege to cover you in prayer. Happy and thankful to again be counting to six! 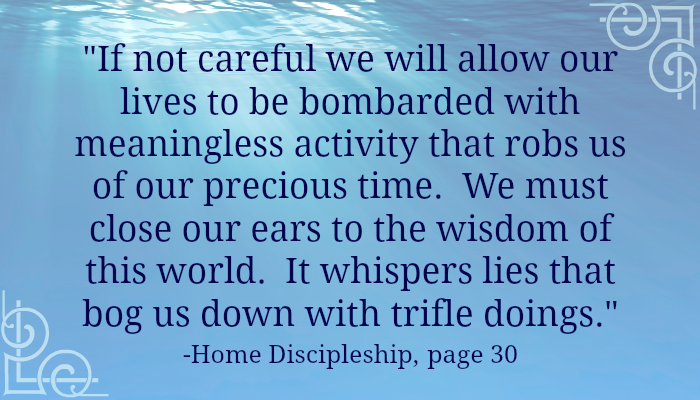 Home Discipleship- Book review and giveaway! You all know by now that I love a good book. I do not pass up many chances to review them for that reason. Someday I will need my own library to house all the books we have collected through the years. Because of space limits and moving frequently, we try to keep only the ones we love. Home Discipleship is one of those books! I "met" author Kimberly Williams through a Christian Bloggers group and loved what I read about her. I think that she and I could become heart friends if we lived closer. You know, those friends that you just connect with- shared faith, shared values, same ideas. Just love her. And her book? Amazing. Let me tell you a little about it. Home Discipleship: Much More Than ABC's and 123's is about homeschooling, but it is about so much more. In 12 chapters Kimberly walks you through what Home Discipleship looks like and how to implement it in your life. Her premise is that even before we can successfully homeschool our children, our jobs must be to first disciple our children. The process, covered in each chapter includes discipline, teaching them to know and follow God, setting goals, tailoring teaching to each individual child, and learning to deal with the opposition when it comes (and it WILL come). Each chapter is filled with scripture and words of wisdom. But my favorite part? Each chapter ends with a practical application section. In that party Kimberly has questions to ponder, things to talk about as a family, things to discuss as a husband and wife team, scripture to study and meditate on and questions to think through on your own.. Think of it as a mini study guide. Perfect for not only your own personal time, but also a great companion tool for a book study with a group of friends. Yes! And then some. As a homeschooling mom that has many requirements of the state to fulfill to legally homeschool my children, it is easy to get caught up in the details of a checklist and forget what truly matters. Yes, education is important but as Kimberly says, "to know God and to learn of Him is the best education we will ever give our children." page 34. I can teach my kids math, science and grammar until the cows come home, but if they do not know and love God, what is the point? It was perfect timing to have someone challenge me to remember the reason I school my children in the first place and to make sure my day is in line with those reasons. The world may tell us it has all of the answers, but it does not. God does. When I follow His will then everything else, including my children's education, will line up correctly. Oh friends, sometimes even the good things in life will bog us down if we are not careful. Life has many things to offer. May we carefully choose what we fill our time with and our children's lives with. May we disciple them to choose wisely as well. Kimberly has graciously offered to give two of our readers a copy of her book Home Discipleship- Much More Than ABC's and 123's. Use the Rafflecopter below for your chance to enter. I assure you that you will be blessed by this book! You can also order Home Discipleship for $11.95. Kimberly Williams is a pastor’s wife, homeschooling mother, and most importantly a disciple of Jesus Christ. 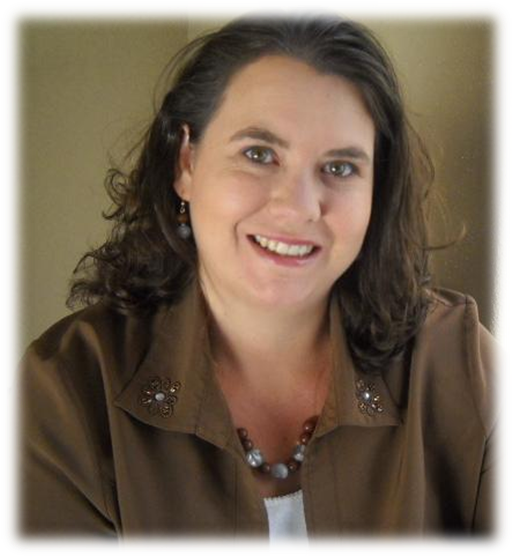 She is the author of Living Out the Word, a series of expository ladies Bible study books. Kimberly contributes to various homeschooling magazines and blogs. The Williams family has been homeschooling since 2000. 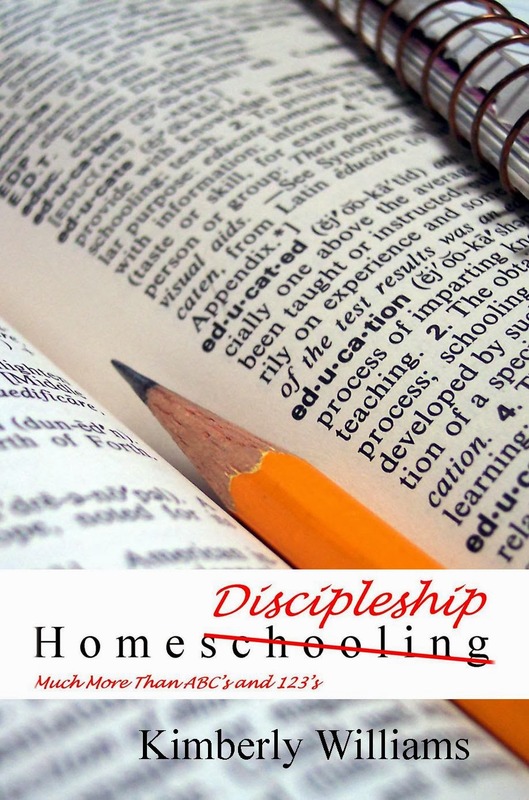 She shares in her newest book, Home Discipleship, that homeschooling is about much more than ABC’s and 123’s. She would love to hear from you at www.homediscipleship.net or on her blog at www.untilthedaydawn.wordpress.com. Are you getting the curriculum itch yet? I am! Usually it does not hit me until March or April when I can start seeing the light at the end of the year's lesson plans but with the last few weeks of this Virtual Curriculum Fair it has begun early for me. Last week's topic of Math and Sciences added a few more "new to me" items on my ever growing wish list. If you missed last week, I would encourage you to jump over and check out all the posts. 25 ladies joined in last week and there are some fun ideas out there, no matter what type of homeschooler you are. I am going to be honest here, history was not my favorite subject in school. I was public schooled and quite frankly all I remember of importance was you better know these dates for your test kind of stuff. That, and the fact that I am pretty positive we studied Christopher Columbus EVERY. SINGLE. YEAR. Seriously. Not much fun and certainly not very inspiring. I am happy to say that things look a little different in our house these days! 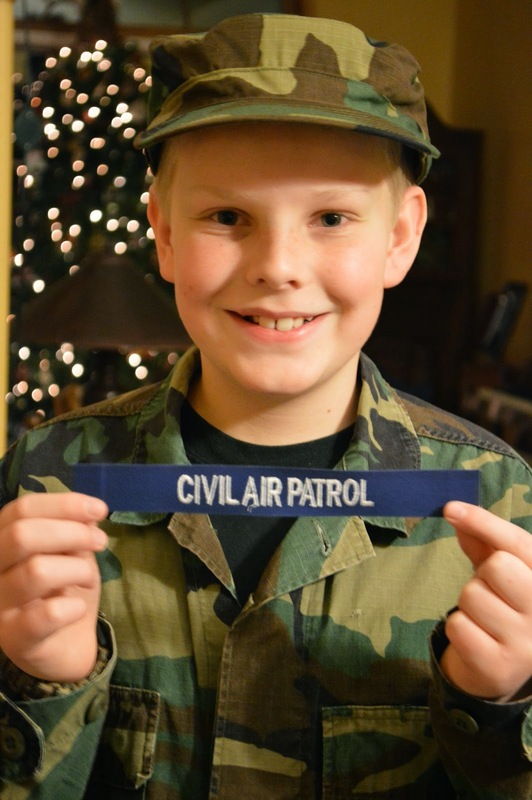 And thank goodness, because I have a 6th grade son who loves history, as did his college sister. So what do we use? For Kindergarten I like reading the first few levels of Abeka History books. They are on the simple side, but fun and easy reading for young kids. In 1st grade we jump into The Mystery Of History. I love these books. They are Christian based and do a good job of showing the great biblical events hand in hand with more "worldly" events. As a youth I am pretty sure I grew up believing there was a "Bible Time" and then there was a "Real World" time but none of those things went hand in hand. I am so glad my kids are growing up knowing that while something was going on in Jerusalem there were other things happening in other parts of the world as well. Makes for a less confused adult, for sure! ;) There are three volumes of this book and we are eagerly waiting the 4th edition. Each chapter is fairly short but followed with ideas for all sorts of activities from crafts to additional writing assignments. We tend to just read and do a few easy assignments the first year and then add notebooking in the next years when my kids are old enough to work a little more on their own with writing. After those books we move on to Sonlight History. While it is not the perfect fit for us, I do like that the kids get to read fiction that is tied into the time period they are studying in addition to the living "textbooks" assigned. If your child is not a strong reader however, you may find them frustrated with the sheer number of books assigned and have to cut back a little. New to us this year is the Notgrass Company. We had the privilege of reviewing the America the Beautiful history set and fell in love with it. After my son finished the 6 week review period he asked if we could continue on with it so we have. It is more of an old fashion school textbook with optional map and activitiy books and even includes a book of original documents. Each lesson ends with the assigned pages for those books as well as optional Bible and Writing assignments, so you really could stretch it to cover language arts and Bible if you so choose. We look forward to using their Uncle Sam and You book next year for 7th grade. If it goes well, we may switch over to their high school curriculum as well- we hear people rave about it and by completing a year your child can get credit for Bible, history and English! Ok, so what about Geography. There is a lot out there to choose from and quite honestly I think they are all probably sufficient. Prices range from inexpensive little workbooks to full out mapping the countries type of stuff, so I say just find your comfort price level and what looks like fun and go for it. In the past we have used the Maps, Globes and Graphs series and been happy with them. If you want your children, particularly younger ones, to be able to do well on that part of standardized testing these will work for you and are inexpensive. For slightly older children we reviewed Memoria Press Georgraphy- The Middle East, Africa and Europe book and really liked it. My son loved that it was not just about a map but also has a two page spread on each country with interesting facts and locations talked about. (remember- History boy here!) They also have a United States series which we will work through by the end of this year as review. And last but not least- Worldview! For our family this is Bible. While we read the Bible nightly together during our devotion time and the kids have their own personal reading time, we also feel strongly that they need to do some "just the facts" learning about the Bible and how our belief in it affects our daily life and especially our worldview. We have used lots of programs but I want to tell you about the best two I have found. 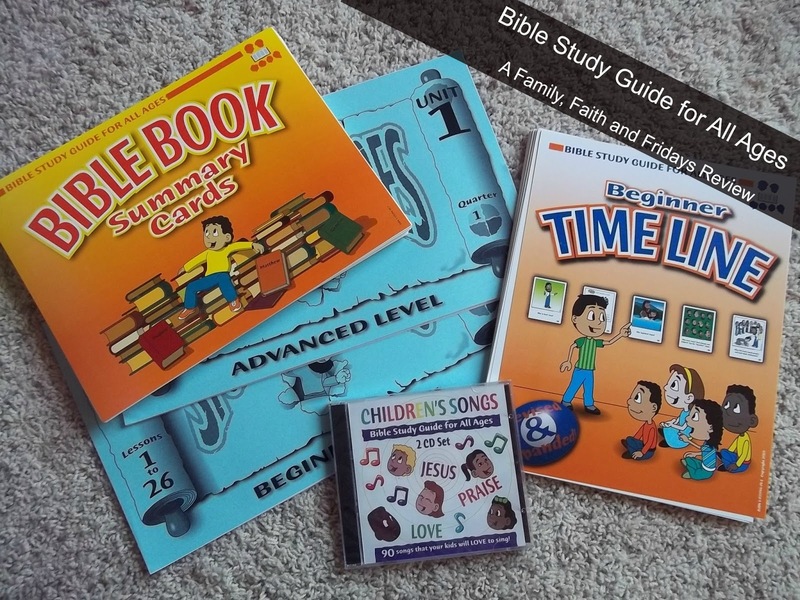 For younger kiddos I would start with The Bible Study Guide for All Ages. Again, we got this as a review and have continued to use it on a daily basis, ordering more worksheets as we have needed them. Right now, my 1st grader and I start every school day with this short little study. With a few fun activities, a little coloring, flash cards, and reading from the Bible it is a perfect way to start our day together. While it does review "the Facts" it also addresses the child's heart and motives which we enjoy discussing together. I am looking forward to going through the Bible with this program for several years! For older kids, I highly recommend Apologia's What We Believe Series. This is not a "stories of the Bible" type of curriculum, but rather explores your faith and how it forms your worldview. After reviewing the second book for a month, we went back and purchased the first in the series to study. I own the first three now and hope to get the fourth and last in the series soon. Each book has a corresponding notebook you can purchase that has a lesson plan in it for ease of use. I recommend using it! OK, stopping for now. There is so much more out there I could ramble on about, but I do not want to overwhelm you all at once. Got questions- feel free to leave me a note and I will get back to you with any answers or ideas I may have. In the meantime, don't forget to read all the other posts my blogging friends have written this week just for you! Week 2 VCF- Math and Science anyone? Who Am I? And What's This Blog About?